Anyway, about my outfit.. I paired my shirt with my vertical stripe pattern shorts to make a comfy look. Oh, and my boots. I really love to pair anything with my black platform boots. I'm so in love with it. So pretty! 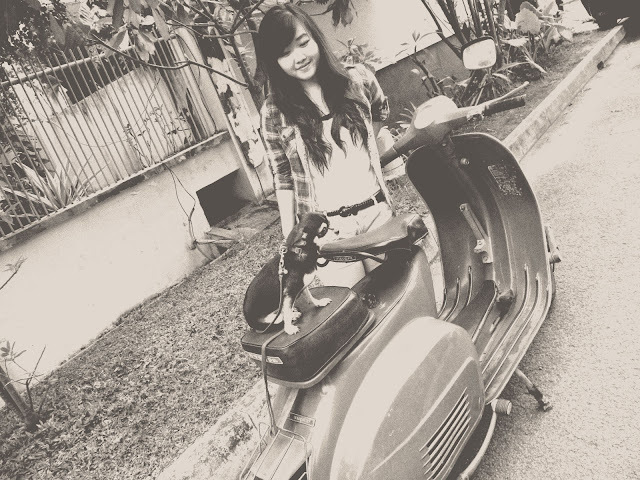 I love the laid back check shirt look :) Also, I really want a vespa haha, they're so cool! great shots my dear! your dog is so cute !! and I love your shoes! I just love your little chihuahua!!!! Wow your blogs really good! !im going to follow now maybe you could check out my blog?? on first pics looks like vintage! Love this look! Thanks for commenting in my blog! Hi thankyou for the comment on my blog! 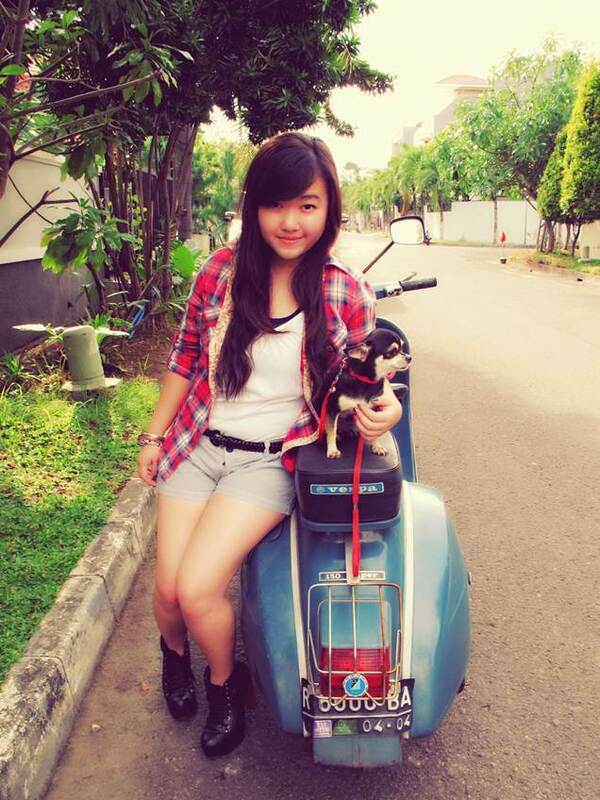 Happy late easter to you too :) Love this oufit and the vespa! 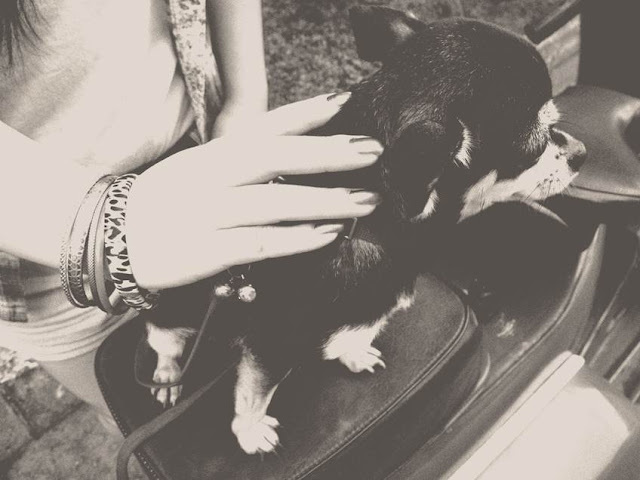 cuuuttteeee site! love these photos and your blog banner rocks! thank you for your kind comment. I would LOVE to follow each other! So with that said I am your newest follower hey hey hey! Hope you will stop back by mine and follow! Awe, your dog is so cute! 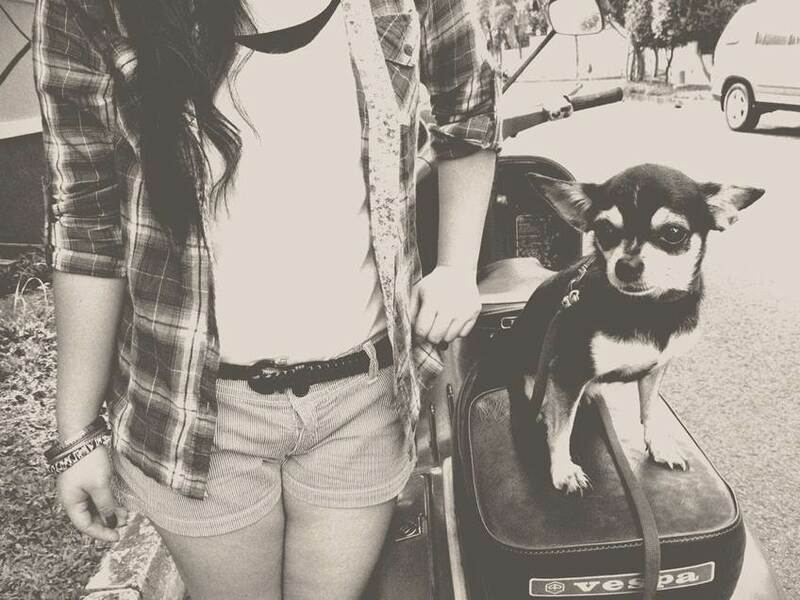 The vespa is rad too. Meu Deus! você é muito linda e seu blog também. Amei a suas fotos, parabéns. I love your outfit! I really wish it was hot enough to wear shorts in London- but it's been snowing!! Thank you for your comment on my blog! these are great pictures, I love the black and white vintage look. Great Outfit! Great Blog! Great Girl!